Growth Hacking: If you work in a company that has a marketing department, it’s probably a term that you’ve heard before. But what is it exactly? True to its name, growth hacking is a way of achieving exposure and growth through non-traditional means. Along with social metrics and analytics, techniques such as search engine optimization, website analytics, and content marketing are some tools that growth hackers use. Growth hacking is primarily used within tech companies, particularly startups, because of how cost-efficient and low-budget it can be. Facebook, Twitter, LinkedIn, Airbnb and Dropbox are famous and successful companies that used and still use growth hacking techniques. 1. Use specific tactics to PULL customers in: create a blog, guest blog, create materials like ebooks, podcasts, infographics, webinars, apps, social media, and search engine optimization are all way that are inexpensive that lead people on to your business’ website. 2. Use specific tactics to PUSH customers onto your product. Instead of luring them in, be loud and direct by: purchasing choice online ads, promo swapping social media content with other companies, and hiring affiliates to make connections. By properly using and executing these three rules, you should start seeing growth appear seemingly out of nowhere. 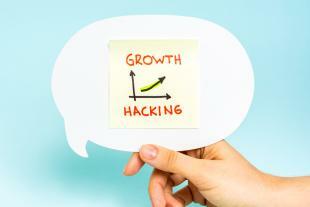 Do you know any special methods or tips about growth hacking that help businesses grow? Leave your advice in the comments below!